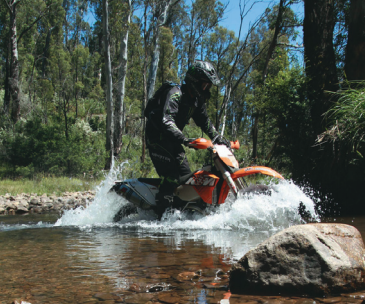 SAFETY awareness for trail bike riders is moving up to the next gear with Motorcycling Victoria and Gippsland RoadSafe community groups teaming up to launch Check Your Mates this week. Check Your Mates is a safety-focused campaign designed to give trail bike riders the information they need to make safe riding choices and raise awareness about the impact of trail bike trauma on individuals and the community. The campaign was developed with input from numerous motorcycle clubs in partnership with VicRoads, Gippsland RoadSafe community groups, Motorcycling Victoria and Victoria Police. 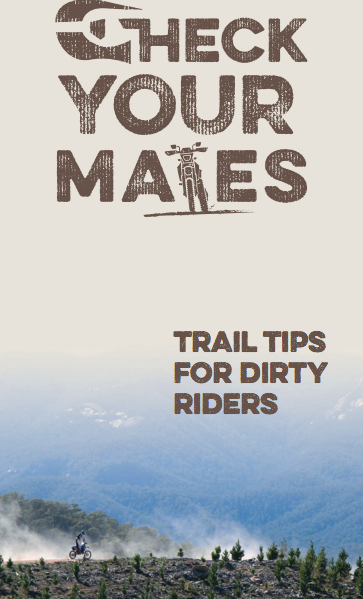 Check Your Mates includes a range of promotional material that highlights the importance of safety and how trail bike riders can easily comply with legislation and ride responsibly. Motorcycle Victoria’s CEO Wayne Holdsworth said the campaign was designed to fill a gap in knowledge and de-bug some of the myths that exist in the trail bike community. “Trail bike riders make up more than 30 per cent of all motorcycle related trauma in Victoria, which is something we don’t talk about enough in our community. Motorcycle trauma in Gippsland is nearly double that of the state average,” he said. “In Gippsland 25 per cent of motorcycle road trauma occurs on roads managed by DELWP. Around 60 per cent of Gippsland trail bike rider death and serious injuries occur in Baw Baw, principally in the Neerim East State Forest. “Crashes on DELWP roads in Gippsland have increased by 40 per cent every year within the five-year period between 2010 and 2014. They are extraordinary statistics for all the wrong reasons. 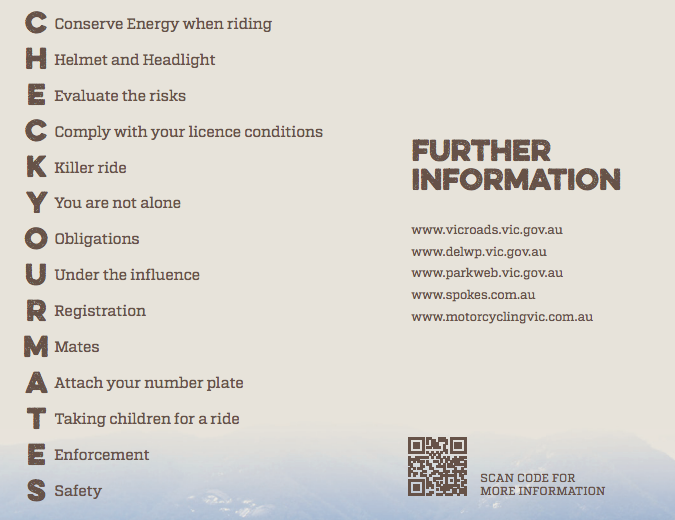 “Check Your Mates will give riders the information they need to make informed choices and reinforce the fact that legislation applies just as much out in the bush as it does on any conventional road,” said Mr Holdsworth. Mr Holdsworth said it was critical to think of trail bike trauma in the same way as traditional motorcycle trauma. 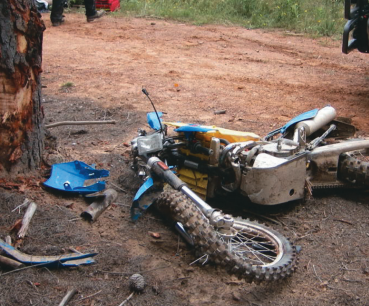 “At the end of the day, the social, financial and individual impact associated with trail bike trauma is just as devastating as the impact of any motorcycle or motor vehicle trauma. “Motorcycle Victoria knows that our racing community is also the recreational dirt bike community so we’re passionate about this campaign and driving home the safety message to our community of riders,” said Mr Holdsworth. Promotional material will be distributed state-wide via participating agencies, MV-affiliated motorcycle clubs and community groups.